J. Robin (Rob) Bromhead is the Senior Pastor of Centreville Presbyterian, a 500 member church that started as a new church development in 1987. During his ministry at Centreville the Lord has grown this community of faith from a mission to a thriving church that has equipped many people who have received a call from God for full time ministry as pastors and missionaries. Rob has also served as a coach for a number of pastors who are called to plant new churches. 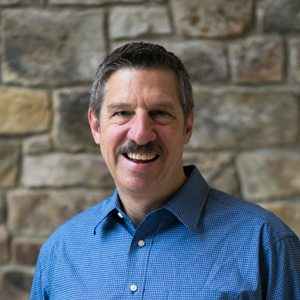 Prior to being called to CPC, Rob served as Associate Pastor at Little Falls Presbyterian in Arlington, VA from 1979 to 1986, where he also coordinated the Youth Ministry and directed the Fun in the Son Northeast conference. From 1986 to 1989, Rob was a solo pastor at Southwestern Presbyterian, an urban church in southwest Philadelphia, PA.
Rob’s passion is preaching, teaching and sharing the Gospel with others in many different contexts, whether it is teaching future pastors at the International Leadership Academy in Moscow, Russia, or training young evangelists in the villages of Northwestern Thailand. Rob received his Masters of Divinity from Gordon-Conwell Theological Seminary in South Hamilton, MA and earned his B.A. in Biblical Studies from Wheaton College, Wheaton, IL. Rob lives in Clifton, VA with his wife, Nancy, and has 3 grown sons. He especially enjoys spending time with his 4 grandchildren.